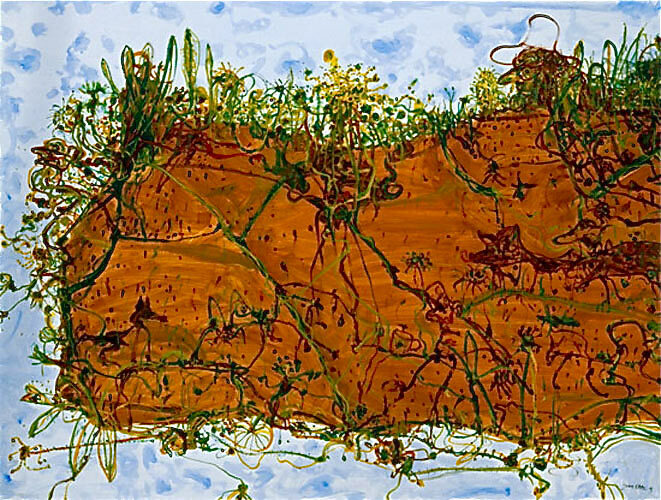 This is a John Olsen limited edition fine art print titled Poet’s Garden 2005 at Etching House. The edition size is limited to 65 only, each image comes complete with a certificate of authenticity, it is printed on pure Archer’s water colour paper with the finest quality pigments, and the sheet size is 84.6 x 109 cm and the extra large sheet size is108.3x140cm, the work is Signed and titled by John Olsen. Poet’s Garden 2005 is a wonderful strong image. The fine art prints are much nicer in real life as the internet cuts back the true colour. This work is based on the original from 2005.